I’m Steve Gustafson and thanks for stopping by. Don’t forget to check out 411mania’s Comic Book Review Roundtable, every Thursday! Read up on the best reviews and let us know what you’re reading as well. Click to read the latest Comic Book Review Roundtable! 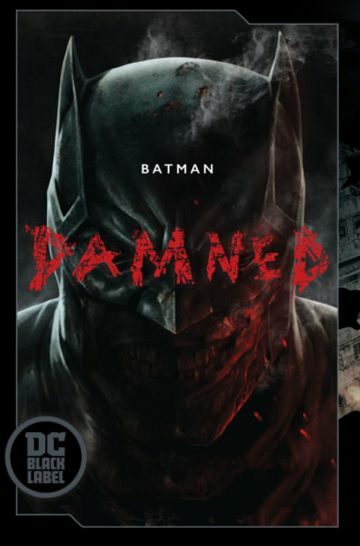 Batman: Damned #1, Amazing Spider-Man #6, and more! Bender: “The criticism I saw was coming from anti-circumcision groups of all places, talking about Bruce being snipped without consent as a newborn. As with every October, I like to do several Halloween-themed columns and while some might find it hard to believe that a comic book could give them the chills, I counter that some of these are just as scary as any movie or novel. I suggest reading this at night, under a blanket, with a flashlight. Someone recommended American Vampire to me and it was an incredible read from Scott Snyder and drawn by artist Rafael Albuquerque. The book sets up vampires as a population made up of many different secret species, and charts moments of vampire evolution and inter-species conflict throughout history. A fun read with plenty of twists and spookiness to keep you riveted. When it comes to a book being masterfully done, we have to talk about Sandman as well. While the series has its darker moments, I enjoy Season of Mists during this time of year as Neil Gaiman use of mythical figures from around the world in a way that makes them familiar. In the story, ten thousand years ago, Morpheus condemned a woman who loved him to Hell. Now the members of his family, The Endless, have convinced him that he needs to return to Hell to rescue his banished love. Lucifer, Hell’s ruler and fallen angel, won’t be making it easy. Sublime and superbly written, read this one outside on a cool night. Joe Hill, who happens to be the son of Stephen King, and artist Gabriel Rodriguez have created a modern horror classic with Locke & Key. This gripping series follows the Locke family’s attempt to rebuild after the father/husband is murdered by a deranged high school student. The family moves in with the deceased father’s brother at the family homestead in Maine and things go from bad to worse when the youngest Locke discovers a doorway with spectral qualities, along with a well that houses someone or something that desperately wants out. Hellboy was summoned from Hell to Earth as an infant demon by Nazi occultists. He was discovered by the Allied Forces; amongst them, Professor Trevor Bruttenholm, who formed the United States Bureau for Paranormal Research and Defense (BPRD). In time Hellboy grew to be a large, red-skinned man with a tail, filed off horns, cloven hooves for feet, and an over-sized right hand made of stone. His adventures cover many aspects of the occult and while the book isn’t the spookiest out there, several stories linger with you long after you put them down. A while ago someone suggested I check out Severed. I’ve regretted it ever since! Not because it’s bad but rather it does its job too well! A limited series that’s set in 1916 that can be described as a “historical fairy tale” that has a cannibal boogeyman who takes on various identities to hunt children. Unpredictable, chilling, and terrifying. To say anymore would ruin the fun for you. Speaking of fun, The Walking Dead should be a no-brainer. No pun intended for you Negan fans. Robert Kirkman and artist Tony Moore focus on Rick Grimes, a sheriff who is shot in the line of duty and awakens from a coma in the zombie apocalypse. He finds his wife and son, and meets other survivors, gradually taking on the role of leader among a group and later a community. I would say 99% of you know all this and know what happens after but the comic series is excellently written and full of genuine shocks and surprises. 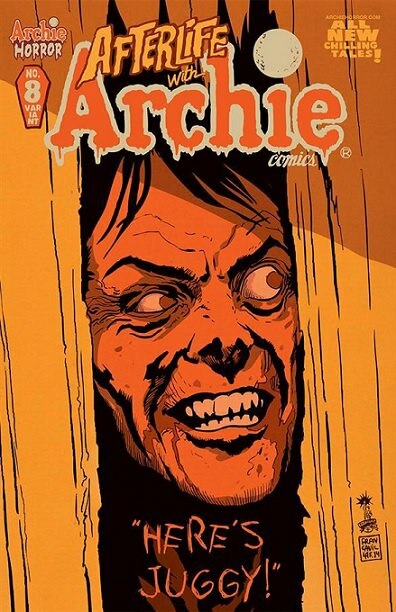 You might scratch your head at my inclusion of Afterlife with Archie but give it a try. Depicting a zombie apocalypse that begins in the town of Riverdale in an alternative reality, this series surprised and created some real scares. Another recommendation made to me was Hack/Slash and I’m glad I gave it a read. From the mind of Tim Seeley, the series follows horror victim Cassie Hack as she fights the monsters, known as “slashers”, who prey upon teenagers. The cool hook is these slashers are a mix of original baddies and crossover appearances like Army of Darkness, Vampirella, and Reanimator. Harvest by A.J. Lieberman and artist Colin Lorimer isn’t a horror series in the classic sense but its subject matter covering black market organ selling is certainly unsettling. A great read that will leave you looking at things a little different. A friend let me flip through Alan Moore’s Neonomicon but I knew it would cause me nightmares. Read at your own risk! That same friend said I should included Terry Moore’s Rachel Rising on this list. Of course I should add in issues of Swamp Thing and Hellblazer. Those should be read any time of the year though. As is Tales from the Crypt. But if I had to pick one book that might be the most scariest out there is Garth Ennis’ Crossed. This booked crosses the line more than any other comic out there. The simple premise follows survivors dealing with a pandemic that causes its victims to carry out their most evil thoughts. And they get evil. See for yourself but this series isn’t for the faint of heart. 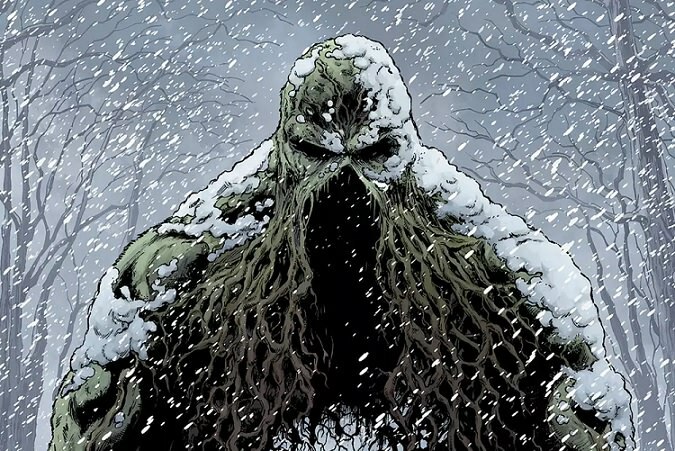 What comic book gives you nightmares?